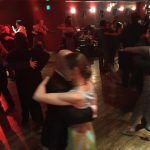 Learning tango may seem complicated and challenging at first, but what it really comes down to is feeling and connection. 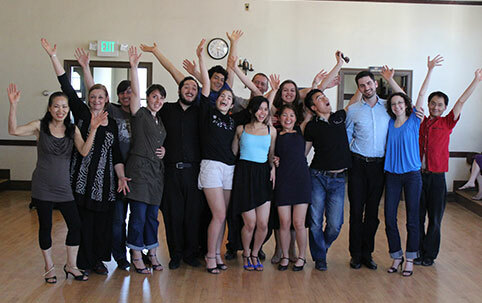 SF Loves Tango: First of all, we are thrilled to have two new tango instructors here in the Bay Area. How did you choose Berkeley, California for your new home? Feeltango: Fernanda visited Berkeley last year while doing part of her PhD research. She immediately fell in love with Berkeley. She really loves the society and quality of life here, particularly because of the great combination of open minds, intellectual, hippie and artistic people. Besides, UC Berkeley is very recognized in Chile and Fernanda had always heard about it because it was her father’s dream to attend here. Another important point is that here you have a lot of tango activities. Therefore, this place has the perfect combination for us, because Cristian’s job is Tango. Thus, we have Tango, and Fernanda her Science, all together here. 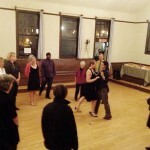 SF Loves Tango: What is your teaching philosophy? Feeltango: The most important things for us in Tango are the passion, the feelings and the culture; therefore we are “Feeltango”. Our teaching philosophy is coherent with that. We encourage our students to connect their souls and life with their partner and music while they are dancing. Tango is quite more than just technical movements and fancy steps; Tango is the life reflected in the lyrics, music, and dance, always in a social context. But for being able to connect with our feelings and partner, we need good walking, well-connected embrace, good posture and musicality. Therefore, we have two class series, “Fundamentals of Tango” and “The Musicality Class”. In “Fundamentals of Tango”, we work hard on embrace, walking and posture. In “The Musicality Class” we work on the interpretation of the music and lyrics, by exploring the movements that match well to the different instruments, orchestras and stories that the lyrics tell. 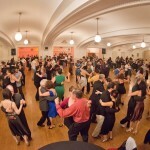 SF Loves Tango: What style of Tango do you prefer? Feeltango: We prefer traditional Tango. Our style is a combination of Tango Salon and Tango Milonguero. It depends on the orchestra that we are dancing, if our embrace and quality of movements are closer to what people refer to “Tango Salón” or to “Tango Milonguero”. 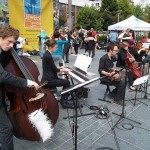 SF Loves Tango: What do you like to do when not dancing Tango? Feeltango: Fernanda is a researcher in Theoretical Ecology, which is another passion in her life. Besides this, she likes reading and spinning, pilates and yoga. She also loves to discover new things about society and culture. Cristian loves listening to music and watching videos from all epochs of Tango. 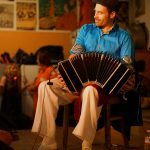 He also spends time talking with his friends in the Tango community all around the world, to exchange their views and thoughts about Tango today. We also love to hang out with friends! I read that you have practiced Biodanza for 10 years. 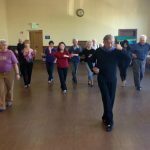 Doing a little research, this is what I learned: “Biodanza is a movement based system that integrates music, dance and authentic relationships with self, others, and the world to support health, joy and a sense of being fully alive.” It seems there are similarities between Biodanza and Tango. 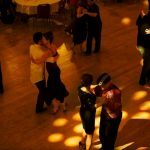 Has Biodanza affected your understanding of Tango? Fernanda: All my years of Biodanza are helping me now to deeply connect with my feelings and life experiences through the music, and being able to transmit them to my partner while we’re dancing; and also feel and receive the emotions of my partner, establishing a communication of emotions through the dance. 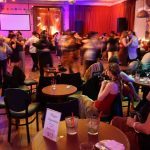 Having been a Tango DJ for many years, how has this affected your approach to teaching and dancing Tango? Who are your favorite orchestras? Cristian: Knowing the music of tango, the history of the orchestras, their differences, are very important for the dancer to understand Tango, its context, and to properly dance each of the great variety of songs that Tango has in all its history. Therefore, all this knowledge is crucial for a teacher to completely transmit Tango to others. My favorite orchestras are Carlos Di Sarli, Osvaldo Pugliese and Juan D’Arienzo. 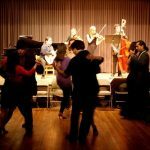 SF Loves Tango: Is there anything else you would like to share with the Bay Area Tango community? Feeltango: Yes. Tango has been present in Chilean culture for a long time. Valparaiso was one of the only ports able to receive the largest vessels in the Southern part of the Pacific, since its founding in 1544. It was through sailors and merchants that sailed the usual trip between Buenos Aires and Valparaiso that Tango arrived very early to Chile (around 1900). After some years, Tango became popular all over the country. Many Tango orchestras visited Chile: Julio Decaro (1937), Rodolfo Biagi (1942), Miguel Calo (1946), Anibal Troilo (1957), Francisco Canaro y su Orquesta Tipica (1959) and Alfredo de Angelis (1950 and 1988), among others. During a visit of Enrique Santos Discepolo with a theater company in 1931, he created the most famous Tango about Santiago “El Carrillón de La Merced”, in honor of the bells of the church La Merced, located in the same street where Cristian lived with Carlitos Espinoza before living with Fernanda. Particularly, Fernanda’s grandparents danced Tango those years, and her grand uncle sings Tango until now, plus Cristian’s grand uncle was a Tango lover as well. Nowadays, it is only a one and a half hour flight between Santiago and Buenos Aires. Therefore, we travel often to Buenos Aires, and also many dancers and teachers from Buenos Aires visit us. Our most well-known dancer now is Carlitos Espinoza (half Chilean and half Argentinean, but local in Chile for many years), who is dancing with Noelia Hurtado all around the world. Finally, we invite to everyone to our Papirusa Milonga, which will be held every 2nd Saturday at Lake Merritt Dance Center. And, especially the first one (June 8th), our Welcome Milonga, where we will perform and Cristian will DJ for first time in the US! If you have not met them yet, Cristian and Fernanda will be teaching at the Blue Unicorn Milonga tomorrow night!